Be Part of Predator Free Ponsonby! The Predator Free New Zealand Trust is committed to dramatically reducing New Zealand’s pest numbers, including rats and possums, to protect New Zealand’s native species and see their numbers grow in our lifetimes. To realise its vision, Predator Free NZ has partnered with Kiwibank to offer funding packages to communities to carry out local predator eradication programmes. Kelmarna Gardens is coordinating efforts in our local area, using funding from Kiwibank to subsidise the purchase of traps. Ship rats and Norway rats are common pests in urban areas; not only do they prey on native animals such as fantails, skinks, and weta, they also eat the seeds and fruit of our native plants (and cause havoc for humans!). The two traps we are using are the Victor Pro (inside a tunnel which prevents pets or birds from accessing the trap), and the self-resetting Goodnature A24, which have been chosen as they are the most humane traps available. In the first stage of Predator Free Ponsonby, subsidised traps are only available to those households inside the target area, which is outlined on the map below. Our target is for at least 20% of households in this area to be trapping, in order to make a significant difference to our biodiversity. 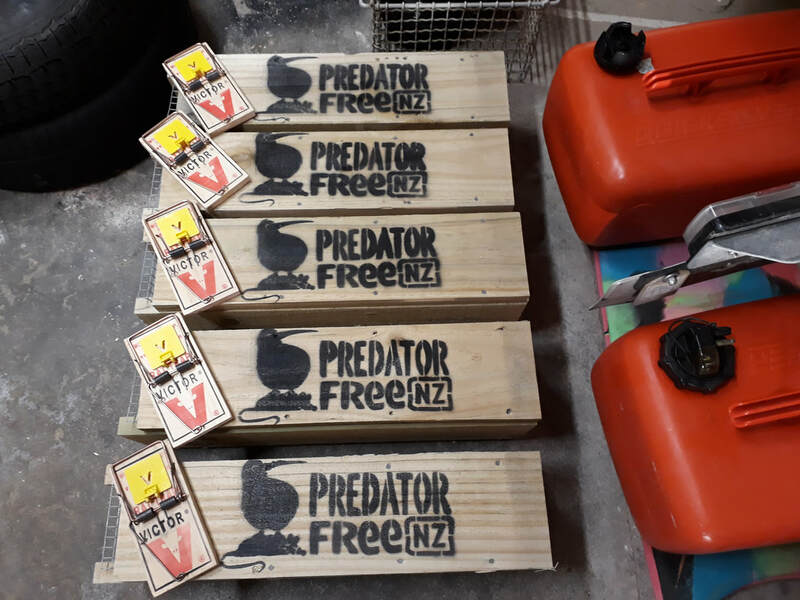 If you'd like to get involved, or have any questions, please email predatorfreeponsonby@gmail.com, call us on 09 376 0472, or pop into the Gardens and we'd be happy to show you the traps and how they work. If you live in the wider local area beyond the area on the map and are interested in getting involved, we'd love to hear from you too. Let's make Ponsonby Predator Free!